"I want to send all my iPhone photos to my MacBook Pro. Is there any way I can do it without compromising image quality and data loss? Please help!!" Tenorshare iCareFone is one of the greatest apps ever designed for data transfer. It is by far the easiest way to transfer photos to your Mac as it is very user-friendly and transfer speeds are far more superior to other methods here. It doesn't need steady Wi-Fi as it can work completely offline without any trouble. You can selectively choose photos or opt for bulk transfers whenever you need unlike in iTunes or other similar apps. Unlike other apps, you can use it to transfer a large number of files without any fear of data loss. There are no storage limitations associated with it and last but not the least, transferred files will be fully readable and accessible. 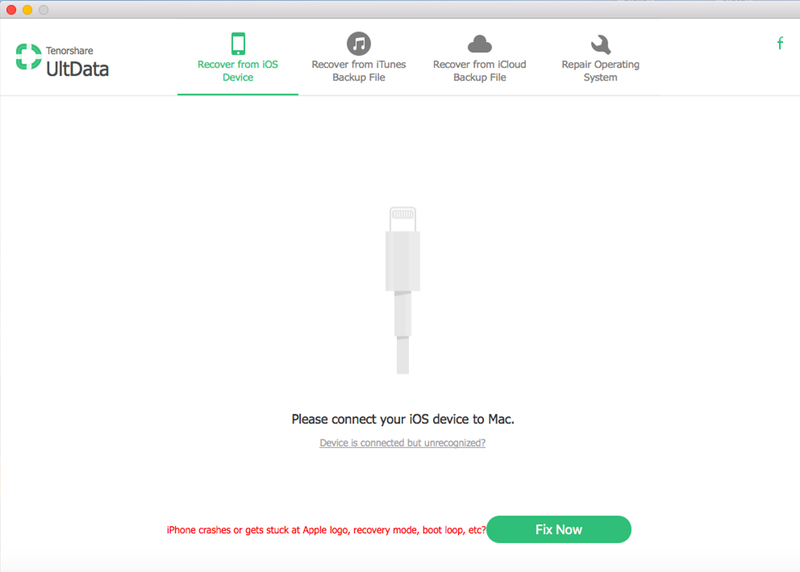 The app also has various other functions including data sharing among iDevices as well as backing up and restoring data, fixing iOS stuck issues, etc. 1. Download and install Tenorshare iCareFone on your Mac. 2. Now, get a USB cable and use it connect the iPhone and the Mac. 3. On the Home Page, go to the "File Manager" Tab and click on Photos. 4. Now, the fun part is that Tenorshare iCareFone will detect all of your pictures automatically and then they will be divided into categories. 5. After that choose the photos you wish to transfer and click on the "Export" button below. The exported files will be saved on your Mac right away! So, this is how to import iPhone photos to Mac using Tenorshare iCareFone. It basically provides the most effective channel to transfer your photos without any hassles. 1. First, install the Photos App on your Mac then run it. 2. Now, connect the iPhone to the Mac with a USB cable. 3. Then click on the "Import" Tab and choose the photos you want to send to your Mac. 4. You can send a few selected photos or send the whole collection. Photos App is used by a number of users and the app has proven very effective when it comes to transferring pictures from one iDevice to MacBook Pro/Air. iPhoto is also an Apple certified app for photo transfer, as discussed above, it is actually the previous version of Photos App but it works the same way. So, if you are using iPhoto you can follow the above steps to get the same result. 1. Go to the "Settings" and connect your iPhone to the Wi-Fi network. 2. Tap on the name on the top and then tap on "iCloud". 3. Now, go to "Photos" and select "iCloud Photo Library" to turn it on. For iOS 10 users, tap on "Photos & Camera" to get "iCloud Photo Library"
1. First, make sure that your Mac is connected to a Wi-Fi network. 2. Now, run the Photo app and click on Photos on the top. 3. Then go to "System Preferences" and find "iCloud" Tab. 4. Among the options, you will find "iCloud Photo Library", click on the box beside to turn it on. After turning on iCloud Photo Library on both devices it will take a few hours to sync all of your photos and videos, depending on the number of photos and videos you have on your devices. You can check the progress bar on the iCloud panel. You will find all your synced photos inside the Photos app on your Mac. Always remember that iCloud Photo Library will use your storage. So, make sure that you have enough space in the Cloud, otherwise, you will have problems. And talking about problems, iCloud only gives you 5 GB of free space. If you need more storage, you have to pay a certain amount. 1. Connect your iPhone with the Mac via a USB cable. 2. Run the app on your Mac. 3. A list of devices will be opened, select iPhone. 4. Now, select a destination for your transferred pictures. 5. Finally, click on "Import" to transfer the files to Mac. 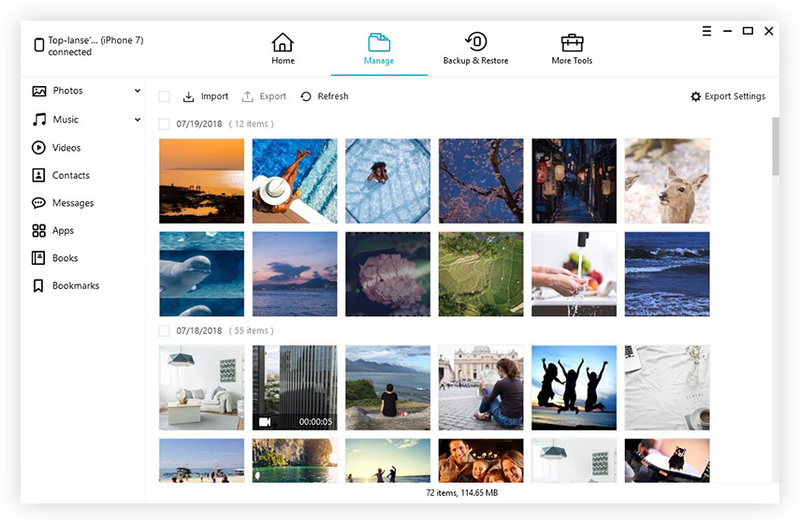 Basically, Image Capture is a very reliable app that provides various tools to reproduce your photos, along with a secure way to transfer them to another iDevice like Mac. 1. Connect both your iPhone and MacBook/MacBook Pro/MacBook Air/imac/iMac Pro to the same Wi-Fi network. 2. Go to Mac and choose AirDrop from the Sidebar. 3. Now, on the AirDrop panel, choose "Everyone"
4. Keep the panel open, which means the AirDrop is activated. 5. Now, open your iPhone, select the photos and open the sharing menu and select AirDrop. Choose "Everyone" in the discovery settings. 6. Wait a few seconds and the Mac with AirDrop option will be appeared. 7. Tap on that and provide the ID. 8. The app will start transferring photos immediately. 9. After the process is completed the Mac will provide a notification sound to let you know. While using AirDrop, remember that this is a new app that requires the newer models of iDevices. The sender and receiver devices should be in close proximity to each other to make the whole process go smoother. Among the craze of various attractive apps provided by Apple and many third-party apps, we forget about the simplest and the oldest method of data transfer, Email. Before all of these data transfer and data sharing apps, the only way to send small bytes of data to another device was an Email attachment. You can easily send photos to your Mac with the help of Email but keep in mind, it is recommended that you only send a small number of photos with Email as it may hamper quality of the images after compressing. 1. First, go to your Camera Roll on your iPhone. 2. Then go to "Albums" and select the photos you want to use. 3. Now, after selecting the photos you want to transfer, tap on the "Share" button and from the list choose "Mail" option. 4. Now, the Email tab will be opened, you need to type the mail address and then tap send to transfer the photos to Mac. 5. Now, open your email from Mac and download the images from email attachments. Now you know how to import pictures from iPhone to Mac using Email. Basically sending photos through Email is very simple and efficient. Unfortunately, the only con here is, it is impossible to send a large number of photos or a complete album through this method. So, these few options are the most efficient and the safest ways to import photos from iPhone to Mac. Most of the apps mentioned here are Apple certified apps and they are specifically designed for the purpose of transferring photos but all of them are cursed with cons. But out of all these, Tenorshare iCareFone being a third-party app, can basically do anything the user wants them to, including photo transfer and that too without any limitations. 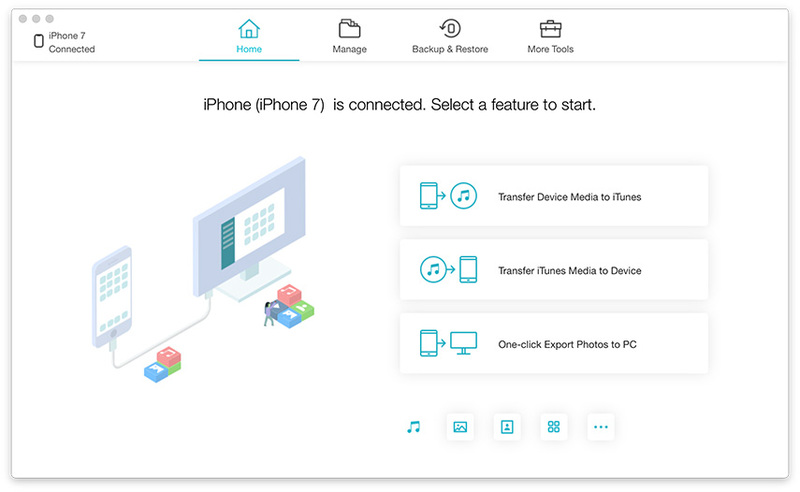 It is the best iOS data transfer tool in this guide and it is undoubtedly the winner here. Like this article? Don't forget to comment and share! !